The recent appointment of Hamid AbuTalebi, as Islamic Republic's new envoy to the UN, quickly made the headlines in the West, as it was suggested by Bloomberg that the new appointee was a former US embassy hostage taker in the 1980s. 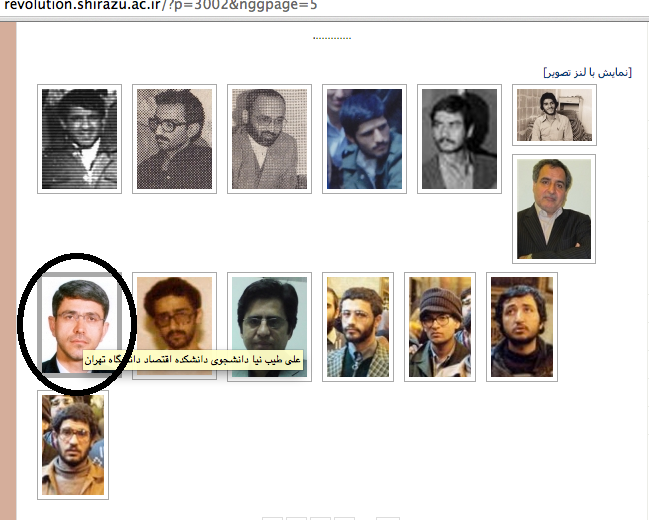 Bloomberg also mentions the website Taskhir which has a picture of Hamid AbuTalebi as a young hostage taker. Taskhir, meaning capture or takeover in Persian, is in fact a website run by former Muslim Students Following the Line of Imam, or those who climbed the US embassy walls in November 1979 and took 52 US embassy staff as hostages for 444 days. AbuTalebi on the other hand has denied he was one of the hostage takers and claimed he only acted as a translator and helped with the negotiations. Reading about all this, I started rummaging through the Taskhir website. It has an interview with one of the former hostage takers, Mohammad Hashemi who mentions Hamid Abutalebi, as one of their representatives who was sent to Algeria to take part in a conference of "Liberation Movements" from around the world. Another former hostage taker, Faezeh Moslehi, one of the female Students Following the Line of Imam, also mentions AbuTalebi being sent to Algeria to represent the student hostage takers. She refers to him as "Brother AbuTAlebi". But there are even more interesting facts that I picked up. 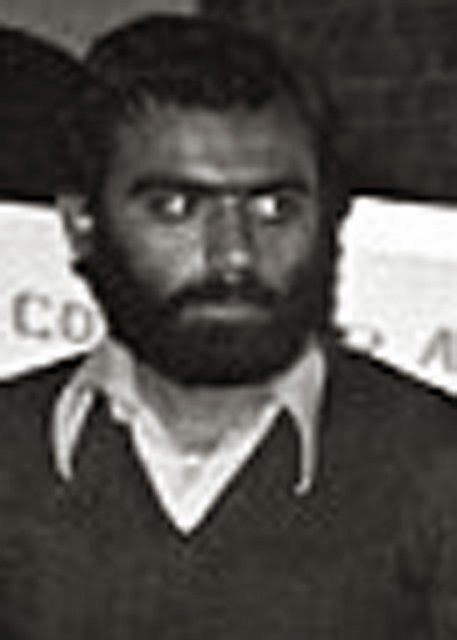 For example another one of the former hostage takers is identified as AbdolHossein Rouhalamini, whose son, Mohsen Rouhalamini, was arrested during the 2009 protests, taken to Kahrizak and died as a result of severe beatings. i.e. Father was a US embassy hostage taker and son was killed by the regime's security forces, three decades later. Another interesting name that came up was Ali Tayebnia, the widely reputed competent and able current Minister of Economy. Tayebnia also studied in the London School of Economics under Professor Laurence Harris. So presumably he managed to get a UK student visa after having taken part in the US embassy hostage takeover.